When I first started nursing, I had a major overabundance in milk supply. I had crazy engorgement issues & cold easily pump 5-6 oz (or more) any time I pumped. I took a great supply for granted in those early days. 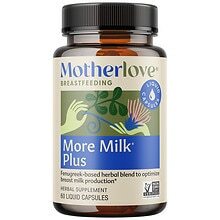 *More Milk Plus by Mother Love: (I get it on Amazon or at Walgreen’s – it’s with the baby formula.) I take this in lieu of Fenugreek. My best advice here is follow the directions on the bottle, because the serving size depends on your weight. 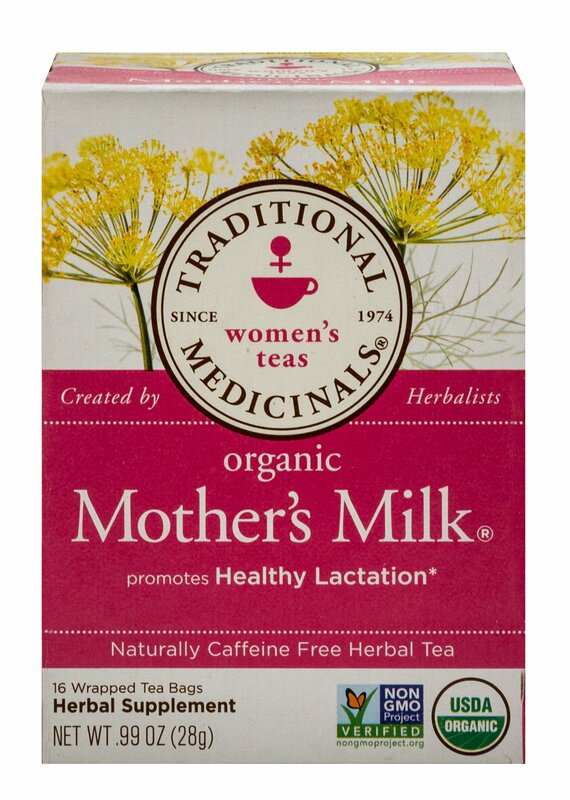 I know many lactation specialists suggest doubling up on the Fenugreek, so I assumed I could do the same with this. I weigh about 135, but I was still taking two capsules 3x a day (which is the recommended dosage for someone over 175). One nurse told us this can cause liver damage if you’re not drinking enough water, so I dropped back down to 1-2 capsules a day and make sure I am drinking plenty of water (even though the directions say avoid water 15 minutes before and after). *TONS of water: When you think you’ve drank enough water, drink MORE. There have been times I have been pumping and not getting much….and can chug a big glass of water and BAM- it’s like the flood gates open. SO cool how our bodies work! Speaking of, I limit my caffeine to one Spark a day & make sure to drink plenty of water with that. I don’t drink alcohol, coffee, or sweet tea, but if you do I suggest drinking even more water (as those can dehydrate you). *Eat every few hours: I eat as healthy & clean as possible, but still make sure I am getting plenty of calories and healthy fats (almonds, almond butter, olive oil, avocado, etc.). I also eat every few hours. You need an extra 400-500 nutritious calories while you’re nursing, so eating frequently helps. *Low-Intensity Exercise: Exercise is important on so many levels. However, you can’t go too hard when you’re nursing. I learned that the hard way. I don’t have a whole lot of time to work out, so when I do, I make it count & get after it with HIGH INTENSITY workouts. I was getting way too lean & noticed (eventually….sheesh!) that when I work out too hard/too often, my supply takes a hit. It’s not an excuse to be totally inactive- just can’t go straight training mode. I’ve had to cut back. *At least 6 stimulations a day. When Jase went to a 4 hour schedule, it became tougher to keep my supply up. I started pumping a couple extra times to it moving again and it totally worked. I don’t do it every day, but if I notice it starting to drop off, I’ll do it for a day or two and it picks back up. *Pump after nursing sessions: I pump after I feed Jase in the mornings (when we tend to have the greatest supply) & I pump at midnight every night too. This is how I’ve been able to stock up! Plus, it makes sure I totally empty each breast so they fill back up. *Get a Quality pump: SOOOO, I do NOT like to spend money when I don’t have to. Our insurance company hooked us up with a free Ameda pump, so I used that for 8 1/2 months. One of the lactation specialists told us that pump is pretty much crap. It gets the job done, but a nice pump would express more milk in a shorter time. TRUE story!! I finally splurged and bought a nice pump (no need to be a cheap-o- it’s totally worth the investment). *Pray: I know that might sound cheesy, but as I have grown in my prayer life, I have learned that even the seemingly “small” things are important to God. (Not that how we feed our baby is insignificant by any means...) God WANTS us to seek Him in all things, and we “have not because we ask not.” Prayer has helped big time. Not only has God been faithful to answer, but it also calms my nerves when I’ve felt stressed about supply issues. Hope that helps someone. I know there is so much in motherhood that can be overwhelming, & I wanted to share a few tips because this has helped me big time. Happy nursing! What pump did you end up purchasing? I am 7 months and need to pick one soon! The one pictured here- Medela Free Style. :) CONGRATS!! Great advice and I'll definitely keep this on hand for when we have baby #2. I had a very difficult time breastfeeding and keeping my supply up for my little boy who is 5 months now and on formula :( Thanks for sharing! Theis is great. When I suffered from low supply I was only told, pump, water and fenugreek. But it's been a decade plus 3 years. I do have to share that by my third I loved using the cheapo avent hand pump so much better than my double electric pump. I could pump each side while the baby nursed the other side. I don't know if the pump is still made but it was about $40. Love your tips, but wanted to share one as well. If you suffer from thyroid disorder do NOT take any of those teas or pills that contain fenugreek. Fenugreek will actually prevent your thyroid medicine from being absorbed and cause your supply to lower even more. I found this out the hard way after taking fenugreek for a week and a half. Motherlove has a couple different recommended products without fenugreek if you check their website. I would love if you'd post a review of your experience with the Ameda pump vs the Medela! I'm in the same boat with getting one through insurance and really don't want to drop $250 for another one unless I know it will be worth it! Do not take fenugreek if you have an under active thyroid. It makes your thyroid even more under active. I learned that the hard way and having an under active thyroid makes you have a lower supply to begin with. This stuff is AMAZING as well!!!! I took it after I messed up my supply and it made a huge difference. Also when I bought it the lady at the store told me a woman had come in who had completely stopped nursing for six weeks...took this...and was able to nurse again! PS: I own the freestyle and LOVEEEEEE it. Best pump for sure! I've had mine 5 years and totally plan to use it for many more babies!